We’re doubling down on local music and music discovery. 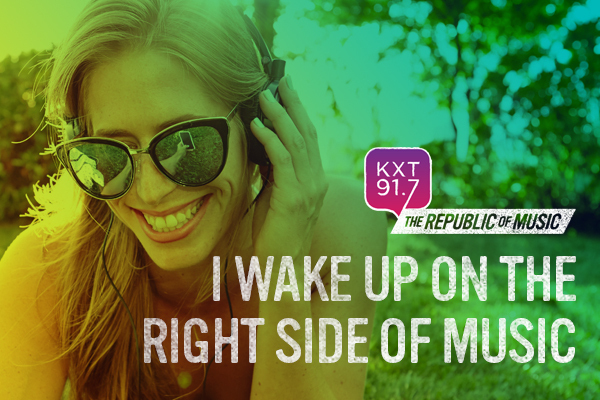 KXT 91.7 is your commercial-free, member-supported, listener-driven public radio station. We’re committed to supporting North Texas musicians. We’re committed to music discovery. We’re committed the best in new, local and legendary music. And that’s why we’re taking that commitment to the next level with an exciting new programming lineup that features more locally-produced content, curated specifically for North Texas music lovers. What is The Republic of Music? 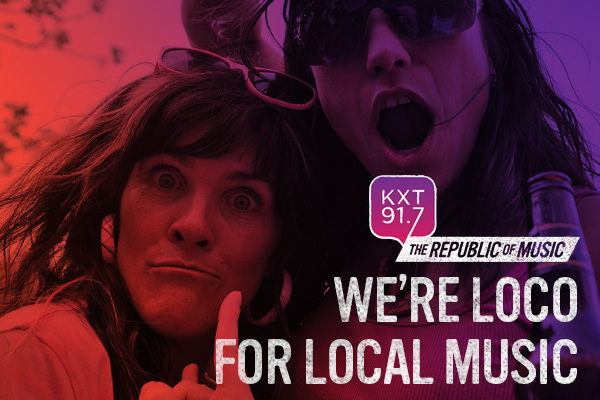 “The Republic of Music” represents the community of listeners, members, artists and other supporters who make KXT and the North Texas music scene special. In The Republic of Music, everyone is welcome, everyone is equal and everyone has a voice. It’s the non-physical place where we’re all about the music — where listeners, members, artists and more come together to make KXT possible. Weekdays from 5-10am, host Brad Dolbeer will be delivering the same eclectic mix of music you love, plus fun new music-focused features — including interviews, vinyl tracks, music trivia, local happenings in the arts community, and so much more. Need a midday pick-me-up? Look no further than your favorite spot on the dial as host Dave Emmert brings you the best in new, local and legendary music weekdays from 2-7pm and Saturdays from 2-6pm. Host and all-around music wrangler Gini Mascorro has long been introducing North Texans to their next favorite artist, be they from across the globe, nation or right here in our own backyard. Now, tune in Mondays from 7-8pm for a full hour of new tracks, including the New Music Monday picks featured earlier in the day. Call us biased, but we think North Texas has some of the best musicians around. Thursdays from 7-8pm, host Amy Miller will be introducing you to those local artists through interviews, in-studio performances and by playing tracks that span genres like rock, blues, Latin, hip-hop, jazz, folk and more. Each week, WXPN’s Talia Schlanger presents interviews and performances with today’s essential and emerging artists. Launched in 1991, World Cafe is known by artists, appreciative audiences and the radio and music industries as an influential source for music discovery. This two-hour program will continue to air on KXT every Monday-Friday at 11pm. KXT strives to serve North Texans with quality music and programs that aren’t available anywhere else. The recent additions to our on-air schedule offer more content that’s created and curated specifically for North Texans, during hours when more North Texans are able to listen. Welcome to the best mix of live, new, local and legendary music. Welcome to The Republic of Music. To see the full KXT on-air schedule, click here.